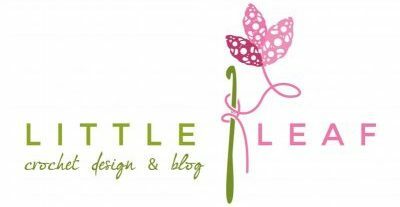 After learning the Bobble Stitch to work on my Hart of Dixie CAL Blocks, I got so many ideas! For a dear friend and fellow artist, I made this monogram pillow for her studio as a thank you for her helping me understand the bobble stitch and explaining it to me. 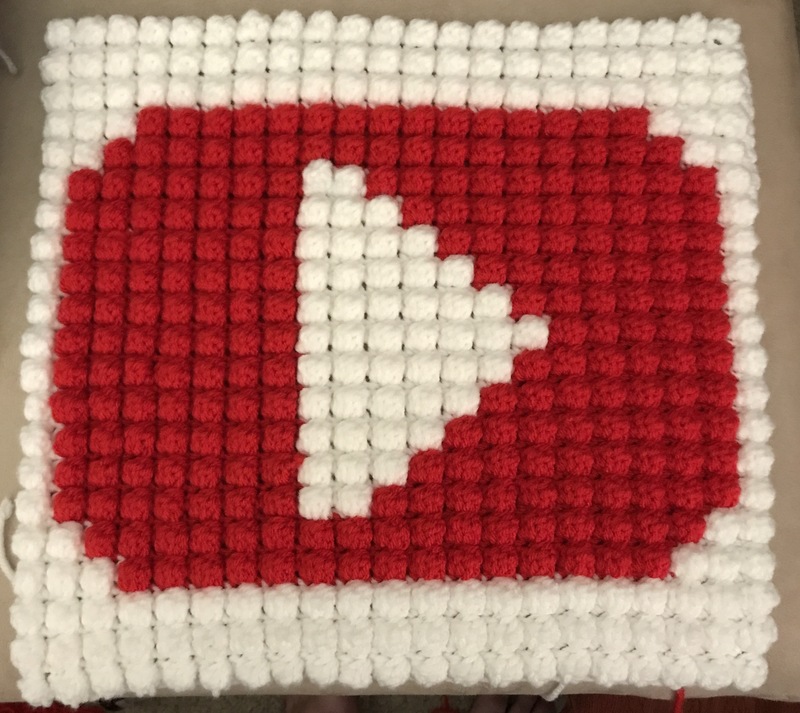 My son is an aspiring You-tuber and asked me to make him a Youtube Play Button. I love how this turned out. And my silly daughter didn’t surprise me when she asked for a Rainbow Poop Emoji. 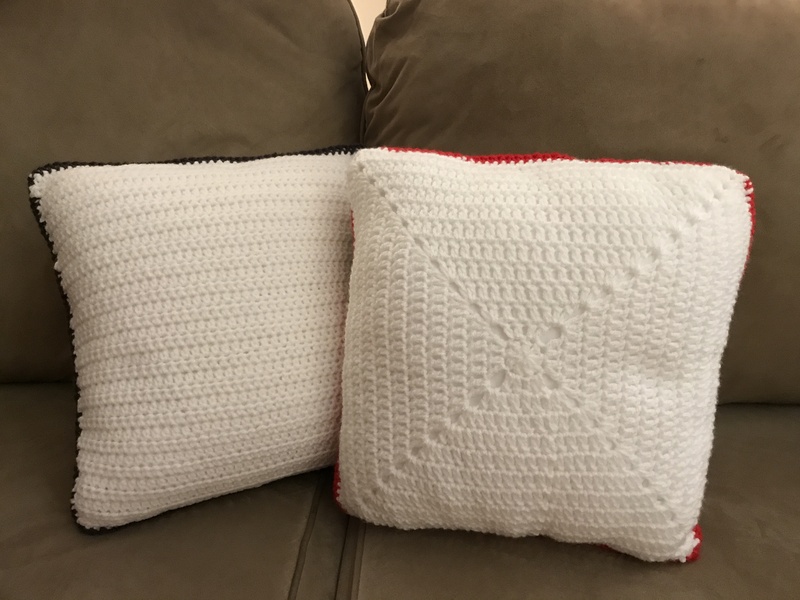 I easily created my graphs personally using Excel and used the Bobble Stitch to create the graph pattern. I did used google for inspiration and scale for the pattern. Pillows seem to be great for smaller graphs. So I spruced them up with a border and the backs are both white. 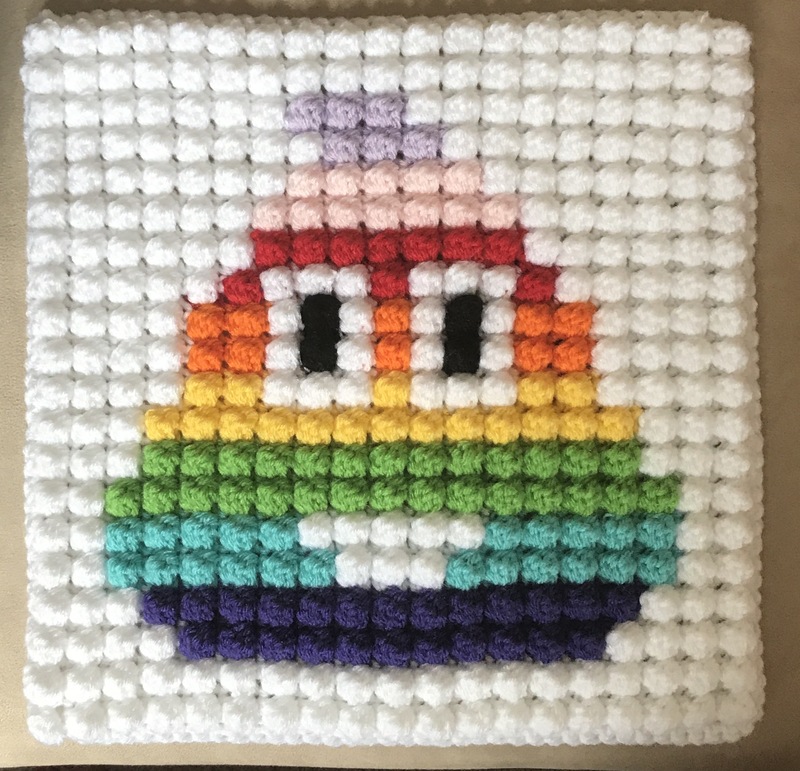 I did a simple granny square for the Rainbow Poop Emoji and HDC rows until my desired size for the Play Button. I’m sure the kids will enjoy them for a long time. I think the Bobble Stitch has endless possibilities. I found this tutorial by Bhooked on youtube also very helpful! 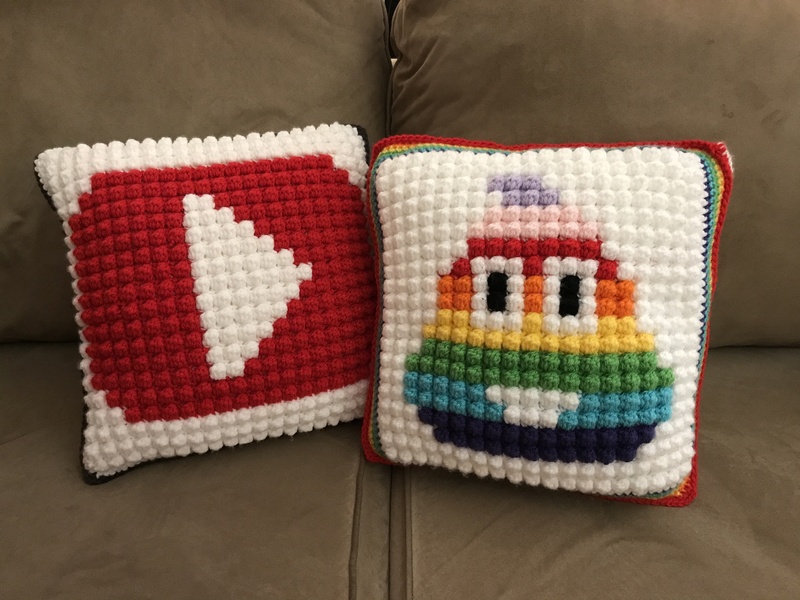 I absolutely love the YouTube play button pillow you made for me. Thanks for making the pillow. I love the design!